Introduction English and Irish colonists from St. Kitts first settled on Montserrat in 1632; the first African slaves arrived three decades later. The British and French fought for possession of the island for most of the 18th century, but it finally was confirmed as a British possession in 1783. The island’s sugar plantation economy was converted to small farm landholdings in the mid 19th century. Much of this island was devastated and two-thirds of the population fled abroad because of the eruption of the Soufriere Hills Volcano that began on 18 July 1995. Montserrat has endured volcanic activity since, with the last eruption occurring in July 2003. History Montserrat was populated by Arawak and Carib people when it was claimed by Christopher Columbus on his second voyage for Spain in 1493, naming the island Santa María de Montserrate, after the Blessed Virgin of the Monastery of Montserrat, which is located on the Mountain of Montserrat, in Catalonia. The island fell under English control in 1632 when a group of Irish fleeing anti-Roman Catholic sentiment in Saint Kitts and Nevis settled there. The import of slaves, common to most Caribbean islands, mainly coming from West Africa, followed during the seventeenth and eighteenth centuries and an economy based on sugar, rum, arrowroot and Sea Island cotton was established. In 1782, during the American Revolutionary War, Montserrat was briefly captured by France. It was returned to the United Kingdom under the Treaty of Paris which ended that conflict. A failed slave uprising on 17 March 1798 led to Montserrat later becoming one of only four places in the world that celebrates St Patrick’s Day as a public or bank holiday (the others being the Republic of Ireland, Northern Ireland and the Canadian province of Newfoundland and Labrador). Slavery was finally abolished in Montserrat in 1834, presumably as a result of the general emancipation of slaves within the British Empire in that same year. Falling sugar prices during the nineteenth century had an adverse effect on the island’s economy and in 1869 the philanthropist Joseph Sturge of Birmingham formed the Montserrat Company to buy sugar estates that were no longer economically viable. The company planted limes starting production of the island’s famous lime juice, set up a school, and sold parcels of land to the inhabitants of the island, with the result that much of Montserrat came to be owned by smallholders. From 1871 to 1958 Montserrat was administered as part of the Federal Colony of the Leeward Islands, becoming a province of the short-lived West Indies Federation from 1958 to 1962. With the completion of Beatles producer George Martin’s AIR Studios Montserrat in 1979, the island attracted world-famous musicians who came to record in the peace and quiet and lush tropical surroundings of Montserrat. The last several years of the 20th century, however, brought two events which devastated the island. In September 1989, Hurricane Hugo struck Montserrat with full force, damaging over 90 percent of the structures on the island. AIR Studios closed, and the tourist trade upon which the island depended was nearly wiped out. Within a few years, however, the island had recovered considerably—only to be struck again by disaster. In July 1995, Montserrat’s Soufriere Hills volcano, dormant throughout recorded history, rumbled to life and began an eruption which eventually buried the island’s capital, Plymouth, in more than 40 feet (12 m) (12 m) of mud, destroyed its airport and docking facilities, and rendered the southern half of the island uninhabitable. This forced more than half of the population to flee the island because they lacked housing. After a period of regular eruptive events during the late 1990s including one on June 25, 1997 in which 19 people lost their lives, the volcano’s activity in recent years has been confined mostly to infrequent ventings of ash into the uninhabited areas in the south. However, this ash venting does occasionally extend into the populated areas of the northern and western parts of the island. As an example, on May 20, 2006, the lava dome that had been slowly building collapsed, resulting in an ashfall of about an inch (2.5 cm) in Old Towne and parts of Olveston. There were no injuries or significant property damage. Long referred to as “The Emerald Isle of the Caribbean” for both its Irish heritage and its resemblance to coastal Ireland, Montserrat today remains lush and green. A new airport, opened officially by the Princess Royal Princess Anne in February 2005, received its first commercial flights on July 11, 2005, and docking facilities are in place at Little Bay where a new capital is being constructed out of reach of any further volcanic activity. Famous Montserratians Alphonsus “Arrow” Cassell, MBE born in Montserrat is well known for his soca song “Hot Hot Hot” which has sold over 4 million copies. Shabazz Baidoo—A football player of Montserrat descent, plays in Football League 2 for Dagenham & Redbridge. Tesfaye Bramble—A football player, currently unattached, but who most recently played in the Conference National in England for Stevenage Borough. Junior Mendes—A professional footballer who has represented Montserrat twice in international games, currently playing for Aldershot Town in the Conference National League. Jim Allen—A former cricketer who represented the World Series Cricket West Indians. Introduction Once the center of the Caribbean slave trade, the island of Curacao was hard hit by the abolition of slavery in 1863. Its prosperity (and that of neighboring Aruba) was restored in the early 20th century with the construction of oil refineries to service the newly discovered Venezuelan oil fields. The island of Saint Martin is shared with France; its southern portion is named Sint Maarten and is part of the Netherlands Antilles; its northern portion, called Saint Martin, is an overseas collectivity of France. History Both the leeward (Alonso de Ojeda, 1499) and windward (Christopher Columbus, 1493) island groups were discovered and initially settled by Spain. In the 17th century, the islands were conquered by the Dutch West India Company and were used as military outposts and trade bases, most prominent the slave trade. Slavery was abolished in1863. Politics The head of state is the ruling monarch of the Netherlands, who is represented in the Netherlands Antilles by a governor. A council of ministers, chaired by a prime minister, forms the local government. Together with the governor, who holds responsibility for external affairs and defense, it forms the executive branch of the government. The Netherlands Antilles are not part of the European Union. Since 2006 the Islands have given rise to diplomatic disputes between Venezuela and the Netherlands. Venezuelan President Hugo Chávez claims that the Netherlands may allow the United States to install military bases that would be necessary for a planned U.S. invasion of Venezuela. On May 23, 2006 an international military manoeuver known as Joint Caribbean Lion 2006, including forces of the U.S. Navy, began. Introduction The island, with its fine natural harbor at Castries, was contested between England and France throughout the 17th and early 18th centuries (changing possession 14 times); it was finally ceded to the UK in 1814. Even after the abolition of slavery on its plantations in 1834, Saint Lucia remained an agricultural island, dedicated to producing tropical commodity crops. Self-government was granted in 1967 and independence in 1979.
sites on the island have produced specimens of the Arawaks’ well-developed pottery. There is evidence to suggest that these first inhabitors called the island Iouanalao, which meant ‘Land of the Iguanas’, due to the island’s high number of iguanas. Caribs gradually replaced Arawaks during the period from 800 to 1000 CE They called the island Hiwanarau, and later Hewanorra, which is now the name used for the Hewanorra International Airport in Vieux Fort. The Caribs had a complex society, with hereditary kings and shamans. Their war canoes could hold more than 100 men and were fast enough to catch a sailing ship. They were later feared by the Europeans because of stories of violence and cannibalism, but much of this was probably exaggeration on the part of the Europeans. The Caribs were usually generous until attacked or deceived (which are situations common to much of European colonial history). Today called St. Lucia, much of the island’s population are unaware of the valued contribution to what we today call ‘freedom’. They Europeans called these freedon fighters the Brigands, who were of African and sometimes mixed African-Arawak heritage. Many Brigands still occupy the forests and surrounding areas where they still challenge injustice against them and their indigenous counterparts. Europeans first landed on the island in either 1492 or 1502 during Spain’s early exploration of the Caribbean. The Dutch, English, and French all tried to establish trading outposts on St. Lucia in the 17th century but faced opposition from Caribs whose land they were occupying. Although the French pirate Francois le Clerc (also known as Jamb de Bois, due to his wooden leg) frequented Saint Lucia in the 1550s, it was not until years later, around 1600, that the first European camp was started by the Dutch, at what is now Vieux Fort. In 1605, an English vessel called the Olive Branch was blown off-course on its way to Guyana, and the 67 colonists started a settlement on Saint Lucia but after five weeks only 19 of them remained due to disease and conflict with the Caribs, so they fled the island. The French officially claimed the island in 1635 but it was the English that started the next European settlement in 1639, which was wiped out by the Caribs. It was not until 1651 that the French came, this time from Martinique, commanded by De Rousselan, who held the island until his death in 1654. In 1664, Thomas Warner (son of the governor of St Kitts) claimed Saint Lucia for England. He brought 1,000 men there to defend it from the French, but after two years there were only 89 left, mostly due to disease. For years after this, the island was official traded back and forth between the English and the French in various treaties, as a bargaining chip in negotiations. The English, with their headquarters in Barbados, and the French, centered on Martinique, found St. Lucia attractive after the sugar industry developed in 1765. Colonists who came over were mostly indentured white servants serving a small percentage of wealthy merchants or nobles. Conflict with the Caribs increased as more and more land was taken. Near the end of the century, the French Revolution occurred, and a revolutionary tribunal was sent to Saint Lucia, headed by captain La Crosse. Bringing the ideas of the revolution to Saint Lucia, he set up a guillotine that was used to execute Royalists. In 1794, the French governor of the island declared that all slaves were free, but only a short time later the British invaded again in response to the concerns of the wealthy plantation owners, and restored slavery after years of fighting. Castries was burned in 1796 as part of that battle between the British and the slaves and French republicans. Britain eventually triumphed, with France permanently ceding Saint Lucia in 1814. The British abolished the African slave trade in 1807, three years after former slaves in Haiti had gained their independence as the first black republic in the Caribbean, but it was not until 1834 that slavery was actually abolished on Saint Lucia. Even after slavery was officially abolished, all former slaves had to serve a four-year “apprenticeship” which forced them to work for free for their former slavemasters for at least three-quarters of the work week, with final freedom in 1838. Increasing self-government has marked St. Lucia’s 20th century history. A 1924 constitution gave the island its first form of representative government, with a minority of elected members in the previously all-nominated legislative council. Universal adult suffrage was introduced in 1951, and elected members became a majority of the council. Ministerial government was introduced in 1956, and in 1958 St. Lucia joined the short-lived West Indies Federation, a semi-autonomous dependency of the United Kingdom. When the federation collapsed in 1962, following Jamaica’s withdrawal, a smaller federation was briefly attempted. After the second failure, the United Kingdom and the six windward and leeward islands–Grenada, St. Vincent, Dominica, Antigua, St. Kitts and Nevis and Anguilla, and St. Lucia–developed a novel form of cooperation called associated statehood. As an associated state of the United Kingdom from 1967 to 1979, St. Lucia had full responsibility for internal self-government but left its external affairs and defense responsibilities to the United Kingdom. This interim arrangement ended on February 22, 1979, when St. Lucia achieved full independence. St. Lucia continues to recognize Queen Elizabeth II as titular head of state and is an active member of the Commonwealth of Nations. The island continues to cooperate with its neighbors through the Caribbean community and common market (CARICOM), the East Caribbean Common Market (ECCM), and the Organisation of Eastern Caribbean States (OECS). Foreign relations Saint Lucia has no extant international disputes aside from tension resulting from the island’s status as a transit point for South American drugs destined for the United States and Europe. St. Lucia participated, along with 14 other Caribbean nations, in a summit with US President Bill Clinton in Bridgetown, Barbados, in May 1997. The summit, which was the first-ever meeting in the region between the U.S. and Caribbean heads of government, strengthened the basis for regional cooperation on justice and counternarcotics, finance and development, and trade issues. St. Lucia had official diplomatic relations with the Republic of China (Taiwan) for about 13 years, but switched recognition to the People’s Republic of China (PRC) in 1997. On 25 April 2007, the Premier of the Republic of China (Taiwan) Su Tseng-chang, announced that St. Lucia and Taiwan would resume formal diplomatic relations. On May 1, 2007, St. Lucia regained diplomatic relations with the Republic of China (Taiwan). Within a few days, the People’s Republic of China suspended diplomatic relations. Introduction First colonized by the Spanish, the islands came under British control in the early 19th century. The islands’ sugar industry was hurt by the emancipation of the slaves in 1834. Manpower was replaced with the importation of contract laborers from India between 1845 and 1917, which boosted sugar production as well as the cocoa industry. The discovery of oil on Trinidad in 1910 added another important export. Independence was attained in 1962. The country is one of the most prosperous in the Caribbean thanks largely to petroleum and natural gas production and processing. Tourism, mostly in Tobago, is targeted for expansion and is growing. The government is coping with a rise in violent crime. History Tobago’s cigar-like shape gave it its Spanish name (cabaco, tavaco, tobacco) and possibly its Amerindian names of Aloubaéra (black crotch) and Urupaina (big snail) (Boomert, 2000). Historian E.L. Joseph claimed that Trinidad’s Amerindian name was Iere derived from the Amerindian name for hummingbird ierèttê or yerettê. However, Boomert claims that Cairi or Caeri does not mean hummingbird and tukusi or tucuchi does. Others have reported that Kairi or Iere simply meant island. Both Trinidad and Tobago were originally settled by Amerindians of South American origin. Trinidad was first settled by pre-agricultural Archaic people at least 7,000 years ago, making it the earliest-settled part of the Caribbean. Ceramic-using agriculturalists settled Trinidad around 250 BC and then moved further up the Lesser Antillean chain. At the time of European contact Trinidad was occupied by various Arawakan-speaking groups including the Nepoya and Suppoya, and Cariban-speaking groups such as the Yao, while Tobago was occupied by the Island Caribs and Galibi. The Amerindian name for Trinidad was Kairi or Iere which is usually translated as The Land of the Hummingbird, although others have reported that it simply meant island. Christopher Columbus encountered the island of Trinidad on July 31, 1498 and named it after the Holy Trinity. Columbus reported seeing Tobago, which he named Bella Forma, but did not land on the island. The name Tobago is probably derived from tobacco, although the English pronunciation is /təˈbeɪgoʊ/, rhyming with plumbago and sago. The population of Puerto de España (Port of Spain) increased from under 3,000 to 10,422 in five years and the inhabitants in 1797 consisted of mixed-races, Spaniards, Africans, French republican soldiers, retired pirates and French nobility (Besson, 2000). The total population of Trinidad in 1797 was 17,718; 2,151 of which were “white”, 4,476 were “free blacks and people of colour”, 10,009 were slaves and 1,082 Amerindians. In 1797, General Sir Ralph Abercromby and his squadron sailed through the Bocas and anchored off the coast of Chaguaramas. 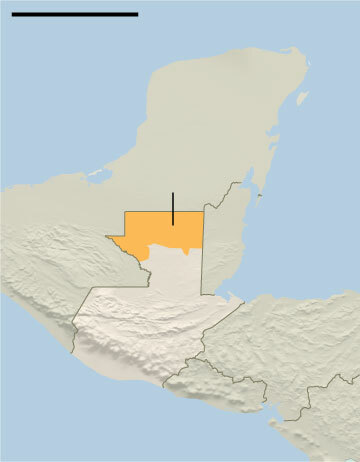 The Spanish Governor Chacon decided to capitulate without fighting. Trinidad became a British crown colony, with a French-speaking population and Spanish laws (Besson, 2000). The conquest and formal ceding of Trinidad in 1802 led to an influx of settlers from England or the British colonies of the Eastern Caribbean. After the abolition of slavery and the collapse of the French planters’ cane economy, the ‘French Creole’ planters and the peasant population of mixed Spanish-Amerindians turned to cocoa cultivation. Although originally a sugar colony, cacao (cocoa) dominated the economy in the late nineteenth and early twentieth century. After the collapse of the cacao crop (due to disease and the Great Depression) petroleum increasingly came to dominate the economy. The Depression and the rise of the oil economy led to changes in the social structure. By the 1950s cocoa had become a staple in Trinidad’s export market and was responsible for a growing middle-class. Originally settled by Amerindians of South American origin at least 7,000 years ago, this varied history has left the country with a mixture of African, Indian, European, Middle Eastern and Chinese people. All these groups have left an imprint on the national culture, and there is an increasingly high percentage of mixed-race people. Trinidad and Tobago became an independent nation (from the United Kingdom) in 1962 and a republic in 1976. Meanwhile, Tobago changed hands between British, French, Dutch and Courlanders from modern-day Latvia. Britain consolidated its hold on both islands during the Napoleonic Wars, and they were combined into the colony of Trinidad and Tobago in 1889. As a result of these colonial struggles, Amerindian, Spanish, French and English place names are all common in the country. African slaves and Chinese, Indian, and free African indentured labourers, as well as Portuguese from Madeira, arrived to supply labour in the nineteenth and early twentieth century. Emigration from Barbados and the other Lesser Antilles, Venezuela, Syria, and Lebanon also impacted on the ethnic make-up of the country. In 1976, the country severed its links with the British monarchy and became a republic within the Commonwealth, though it retained the British Privy Council as its final Court of Appeal. Between the years 1972 and 1983, the Republic profited greatly from the rising price of oil, as the oil-rich country increased its living standards greatly. In 1990, 114 members of the Jamaat al Muslimeen, led by Yasin Abu Bakr, formerly known as Lennox Phillip, stormed the Red House (the seat of Parliament), and Trinidad and Tobago Television, the only television station in the country at the time, and held the country’s government hostage for six days before surrendering. Since 2003, the country has entered a second oil boom, a driving force which the government hopes to use to turn the country’s main export back to sugar and agriculture. Great concern was raised in August 2007 when it was predicted that this boom would last only until 2018. Petroleum, petrochemicals and natural gas continue to be the backbone of the economy. Tourism is the mainstay of the economy of Tobago, and the island remains a favourite destination for many European tourists. Trinidad and Tobago is one of the most prosperous and stable democratic nations in the Caribbean. Politics Trinidad and Tobago is a republic with a two-party system and a bicameral parliamentary system based on the Westminster System. The Head of State of Trinidad and Tobago is the President, currently George Richards. The Head of Government is the Prime Minister Patrick Manning. The President is elected by an Electoral College consisting of the full membership of both houses of Parliament. The Prime Minister is elected from the results of a general election which takes place every five years. The President is required to appoint the leader of the party who in his opinion has the most support of the members of the House of Representatives to this post; this has generally been the leader of the party which won the most seats in the previous election (except in the case of the 2001 General Elections). Tobago also has it’s own elections, separate from the general elections. In these elections, members are elected and serve in the Tobago House of Assembly. The Parliament consists of two chambers, the Senate (31 seats) and the House of Representatives (41 seats). The members of the Senate are appointed by the president. Sixteen Government Senators are appointed on the advice of the Prime Minister, six Opposition Senators are appointed on the advice of the Leader of the Opposition and nine Independent Senators are appointed by the President to represent other sectors of civil society. The 41 members of the House of Representatives are elected by the people for a maximum term of five years in a “first past the post” system. Since December 24, 2001, the governing party has been the People’s National Movement led by Patrick Manning; the Opposition party is the United National Congress led by Basdeo Panday. Another recent party is the Congress of the People, or COP, led by Winston Dookeran . Support for these parties appears to fall along ethnic lines with the PNM consistently obtaining a majority Afro-Trinbagonian vote, and the UNC gaining a majority of Indo-Trinbagonian support. COP gained 23% of the vote but failed to win a single seat. At present the PNM holds 26 seats in the House of Representatives and the UNC Alliance (UNC-A) holds 15 seats, following elections held on the 5th November 2007. Voter turnout in General Elections averages between 60-70%. There are 14 Municipal Corporations,(2 Cities, 3 Boroughs and 9 Regions) which have a limited level of autonomy. The various councils are made up of a mixture of elected and appointed members. Elections are due to be held every 3 years, but have not beem held since 2002, 2 extensions having been sought by the government. Local Government elections are next due in July 2009. Trinidad and Tobago is a leading member of the Caribbean Community (CARICOM) and the CARICOM Single Market and Economy (CSME), of which only the Caribbean Single Market (CSM) is in force. It is also the seat of the Caribbean Court of Justice (CCJ), which was inaugurated on 16 April 2005. The CCJ is intended to replace the British Judicial Committee of the Privy Council as the final Appellate Court for the member states of the CARICOM. Since its inauguration, only two states, Barbados and Guyana, have acceded to the appellate jurisdiction of the CCJ. The CCJ also serves has an original jurisdiction in the interpretation of the Revised Treaty of Chaguaramas, to which all members of CARICOM have acceded. However, to date, only one matter has been filed under the original jurisdiction. On 11 April 2006, the 5-Member UNCLOS Annex VII Arbitral Tribunal, presided over by H.E. Judge Stephen M. Schwebel, rendered after two years of international judicial proceedings, the landmark Barbados/Trinidad and Tobago Award, which resolved the maritime boundary delimitation (in the East, Central and West sectors) to satisfaction of both Parties and committed Barbados and Trinidad and Tobago to resolve their fisheries dispute by means of concluding a new Fisheries Agreement. Culture It is also the birthplace of calypso music and the steelpan, which is widely claimed to be the only acoustic musical instrument invented during the 20th century. The diverse cultural and religious background allows for many festivities and ceremonies throughout the year. Other indigenous art forms include soca (a derivate of calypso), Parang (Venezuelan-influenced Christmas music), Chutney, Rapso music, which was made famous by Cheryl Byron and Pichakaree (musical forms which blend the music of the Caribbean and India) and the famous Limbo dance. The artistic scene is vibrant. Trinidad and Tobago claims two Nobel Prize-winning authors, V.S. Naipaul and St Lucian-born Derek Walcott. Edmundo Ros, the ‘King of Latin American Music’, was born in Port of Spain. Mas’ designer Peter Minshall is renowned not only for his Carnival costumes, but also for his role in opening ceremonies of the Barcelona Olympics, the 1994 Football World Cup, the 1996 Summer Olympics and the 2002 Winter Olympics, for which he won an Emmy Award. Economy Economy – overview: Trinidad and Tobago has earned a reputation as an excellent investment site for international businesses and has one of the highest growth rates and per capita incomes in Latin America. Economic growth for the past seven years has averaged slightly over 8%, significantly above the regional average of about 3.7% for that same period; however, it has slowed down this year to about 5% and is expected to slow further with the global downturn. Growth has been fueled by investments in liquefied natural gas (LNG), petrochemicals, and steel. Additional petrochemical, aluminum, and plastics projects are in various stages of planning. Trinidad and Tobago is the leading Caribbean producer of oil and gas, and its economy is heavily dependent upon these resources but it also supplies manufactured goods, notably food and beverages, as well as cement to the Caribbean region. Oil and gas account for about 40% of GDP and 80% of exports, but only 5% of employment. The country is also a regional financial center, and tourism is a growing sector, although it is not proportionately as important as in many other Caribbean islands. The economy benefits from a growing trade surplus. The MANNING administration has benefited from fiscal surpluses fueled by the dynamic export sector; however, declines in oil and gas prices have reduced government revenues which will challenge his government’s commitment to maintaining high levels of public investment. Introduction During the 17th century, the archipelago was divided into two territorial units, one English and the other Danish. Sugarcane, produced by slave labor, drove the islands’ economy during the 18th and early 19th centuries. In 1917, the US purchased the Danish portion, which had been in economic decline since the abolition of slavery in 1848. History Christopher Columbus named the islands Santa Ursula y las Once Mil Vírgenes, shortened to Las Vírgenes, after Saint Ursula and her 11,000 virgins. They were inhabited by Arawak, Carib and Cermic Indians, all of whom died out during the colonial period from disease, harsh labor conditions, and murder. Later, the islands were re-populated by European plantation owners, and enslaved Africans who worked on sugar plantations, and at least one tobacco plantation. The sugar plantations are gone, but the descendants of the enslaved Africans remain the bulk of the population, sharing a common Afro-Caribbean heritage with the rest of the English-speaking Caribbean. Culture Virgin Islander culture represents the various peoples that have inhabited the present-day U.S. Virgin Islands and British Virgin Islands throughout history. Although both territories are politically separate, they maintain close cultural ties. Like much of the English speaking Caribbean, Virgin Islander culture is syncretic, deriving chiefly from West African, European and American influences. Though the Danish controlled the present-day U.S. Virgin Islands for many years, the dominant language has been an English-based Creole since the 19th century, and the islands remain much more receptive to English language popular culture than any other. The Dutch, the French and the Danish also contributed elements to the island’s culture, as have immigrants from the Arab world, India and other Caribbean islands. The single largest influence on modern Virgin Islander culture, however, comes from the Africans enslaved to work in canefields from the 17th to the mid-19th century. These African slaves brought with them traditions from across a wide swathe of Africa, including what is now Nigeria, Senegal, both Congos, Gambia and Ghana. Economy Economy – overview: Tourism is the primary economic activity, accounting for 80% of GDP and employment. The islands hosted 2.6 million visitors in 2005. The manufacturing sector consists of petroleum refining, rum distilling, textiles, electronics, pharmaceuticals, and watch assembly. One of the world’s largest petroleum refineries is at Saint Croix. The agricultural sector is small, with most food being imported. International business and financial services are small but growing components of the economy. The islands are vulnerable to substantial damage from storms. The government is working to improve fiscal discipline, to support construction projects in the private sector, to expand tourist facilities, to reduce crime, and to protect the environment. They were hidden there, all this time, under the cover of tree canopies in the jungles of northern Guatemala: tens of thousands of structures built by the Maya over a millennium ago. 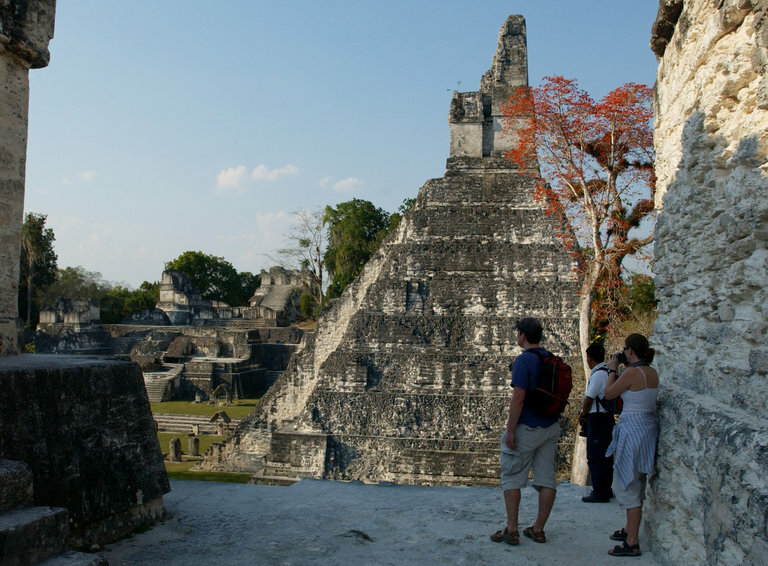 Not far from the sites tourists already know, like the towering temples of the ancient city of Tikal, laser technology has uncovered about 60,000 homes, palaces, tombs and even highways in the humid lowlands. Researchers found the structures by shooting lasers down from planes to pierce the thick foliage and paint a 3-D picture of the ground below. The technology is called Light Detection and Ranging, or lidar. The method has been used elsewhere, including around the Angkor Wat temple in Cambodia. But this lidar project is the largest ever undertaken. More than 800 square miles of the Maya Biosphere Reserve in Guatemala’s Petén region have been mapped, according to an exclusive report by National Geographic, which is airing a Feb. 6 television special about the project. The lasers are only the first step, he added, noting that he and archaeologists still had to trek through jungles to verify the data while contending with thick undergrowth, poisonous snakes, swarms of killer bees and the odd scorpion. The project was started by Pacunam, a Guatemalan nonprofit organization, and carried out with help from the National Center for Airborne Laser Mapping, which is based at the University of Houston. The lidar technology essentially allows researchers to spot bumps in the landscape. Most of the ruins look like rocky mounds — even in person, and to the naked eye — but experts can often identify a collapsed quarry, palace or street. The Maya culture was known for its sophisticated approach to agriculture, arts and astronomy. The peak era for the civilization, which some archaeologists refer to as the Classic Period, is generally considered to have lasted from around A.D. 250 to 900. The total population at that time was once estimated to be a few million, said Diane Davies, an archaeologist and Maya specialist based in the United Kingdom. But in light of the new lidar data, she said it could now be closer to 10 million. 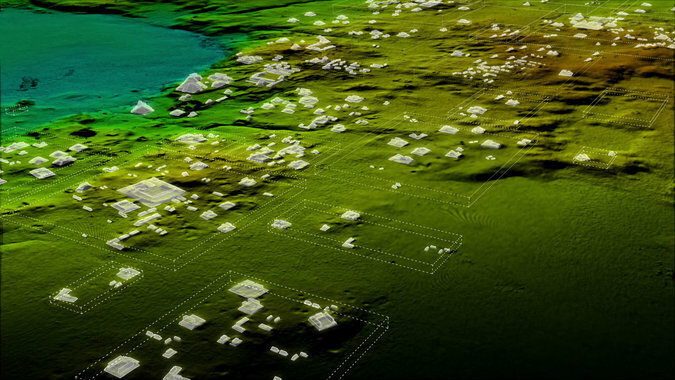 Dr. Davies was not involved in the lidar project but considered it “really big, sensational news.” She said the data should encourage people not only to re-evaluate Maya civilization, but also to learn from it. “To have such a large number of people living at such a high level for such a long period of time, it really proves the fact that these people were highly developed, and also quite environmentally conscientious,” she said. Among the structures uncovered were roads, built wide and raised high above the wetlands to connect fields to farmers and markets to metropolises. There were also small dwellings, quarries and intricate irrigation systems. 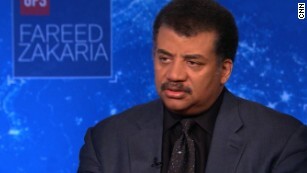 “We’re seeing the spaces in between, and that’s where really interesting stuff was happening,” Dr. Garrison said. He added that in addition to changing people’s perception of the Maya culture, lidar represented “a sea change” in the field of archaeology. It was May 2013, and Apple Inc’s chief executive, Tim Cook, was angry. He sat before the United States Senate’s permanent subcommittee on investigations, which had completed an inquiry into how Apple avoided tens of billions of dollars in taxes by shifting profits into Irish subsidiaries that the subcommittee’s chairman called “ghost companies”. Five months later Ireland bowed to international pressure and announced a crackdown on Irish firms, like Apple’s subsidiaries, that claimed that almost all of their income was not subject to taxes in Ireland or anywhere else in the world. Apple’s advisers at one of the world’s top law firms, the US-headquartered Baker McKenzie, canvassed one of the leading players in the offshore world, a firm of lawyers called Appleby, which specialized in setting up and administering tax-haven companies. 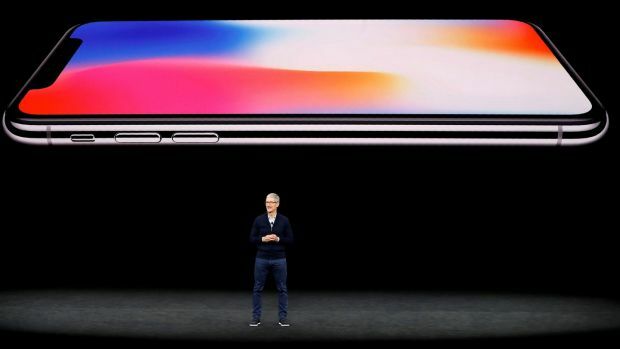 Tim Cook, CEO of Apple, speaks about the iPhone X during a launch event in Cupertino, California on September 12th, 2017. 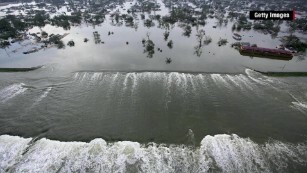 Photograph: Stephen Lam/Reuters. In the end Apple settled on Jersey, the tiny island in the English Channel that, like many Caribbean havens, charges no tax on corporate profits for most companies. Jersey was to play a significant role in Apple’s newly configured Irish tax structure set up in late 2014. Under this arrangement, the MacBook maker has continued to enjoy ultralow tax rates on most of its profits and now holds much of its non-US earnings in a $252 billion mountain of cash offshore. The Irish Government’s crackdown on shadow companies, meanwhile, has had little effect. The documents come from the internal files of the offshore law firm Appleby and the corporate services provider Estera, two businesses that operated together under the Appleby name until Estera became independent in 2016. The files show how Appleby played a cameo role in creating many cross-border tax structures. The German newspaper Süddeutsche Zeitung obtained the records and shared them with the International Consortium of Investigative Journalists and its media partners, including The Irish Times, the New York Times, Australia’s ABC, the BBC in the United Kingdom, Le Monde in France and CBC in Canada. These disclosures come as the White House and Congress consider cutting the US federal tax on corporate income, pushing its top rate of 35 percent down to 20 percent or lower. President Donald Trump has insisted that American firms are getting a bad deal from current tax rules. The documents show that, in reality, many big US multinationals pay income taxes at very low rates, thanks in part to complex corporate structures they set up with the help of a global network of elite tax advisers. In this regard, Apple has led the field. Despite almost all design and development of its products taking place in the US, the iPhone maker has for years been able to report that about two-thirds of its worldwide profits were made in other countries, where it has used loopholes to access ultralow foreign tax rates. Multinationals that transfer intangible assets to tax havens and adopt other aggressive avoidance strategies are costing governments around the world as much as $240 billion a year in lost tax revenue, according to a conservative estimate in 2015 by the Organisation for Economic Cooperation and Development. “US multinational firms are the global grandmasters of tax-avoidance schemes that deplete not just US tax collection but the tax collection of most every large economy in the world,” said Edward Kleinbard, a former corporate lawyer who is now a professor of tax law at the University of Southern California. The Trump administration and the United States Congress are considering whether to grant a one-time tax holiday that would allow big multinationals to bring home, at a sharply reduced tax rate, more than $2.6 trillion they have stowed in offshore subsidiaries. An Apple spokesperson declined to answer a list of questions about the company’s offshore tax strategy, except to say it had informed US, Irish and European Commission regulators of its reorganization at the end of 2014. “The changes we made did not reduce our tax payments in any country,” the spokesman said. By quietly transferring trademarks, patent rights, and other intangible assets to offshore companies, many other global businesses have also been able to cut their tax bills dramatically. The leaked papers show how the ownership of prized assets – including rights to Nike’s Swoosh trademark, Uber’s taxi-hailing app and medical patents covering such treatment options as Botox and breast implants – could all be traced to a five-story office block in Bermuda occupied by Appleby and Estera. Ownership of Facebook’s user database for most countries outside the United States, as well as rights to use its platform technology – together worth billions of dollars – has been held through companies at a similarly unassuming address on Grand Cayman used by Appleby and Estera. And Apple’s money trail has been traced to a building used by Appleby and Estera in Jersey, 30km off the coast of northern France. Addresses shared by the two offshore firms on tax-haven islands have played host to secretive shell companies buried deep within the corporate architecture of many of the largest multinationals. Despite moves by governments to phase out loopholes, tax shelters remain as popular as ever. Governments around the world have challenged some of the tax structures maintained by Appleby and Estera clients – though not always successfully. Nike triumphed over the US Internal Revenue Service a year ago. A dispute between Facebook and US tax authorities continues to play out in court. Apple, meanwhile, is being pursued €13 billion in Irish back taxes after European regulators ruled that Ireland had granted illegal state aid by approving Apple’s tax structure. The leaked documents help explain how three small jurisdictions – the Netherlands, Ireland, and Bermuda – have become go-to destinations for big corporations looking to avoid taxes on their overseas earnings. Among them, these three spots hold less than one-third of 1 per cent of the world’s population – but they accounted for 35 per cent of all profits that US multinationals reported earning overseas last year, according to analysis by Gabriel Zucman, an economist at the University of California, Berkeley. Over three decades US multinationals have been growing bolder, shifting vast chunks of profits into tax havens. Concerns about their tactics were largely ignored until government finances around the world came under pressure in the wake of the 2008 financial crisis. Beginning in the autumn of 2012, the issue came to a head in a welter of government inquiries, tax-inspector raids, investigative reporting and promises of reform. By the time the US Senate permanent subcommittee on investigations released 142 pages of documents and analysis for its public hearing on Apple’s tax avoidance in May 2013, the world was paying attention. The subcommittee found that Apple was attributing billions of dollars of profits each year to three Irish subsidiaries that declared “tax residency” nowhere in the world. 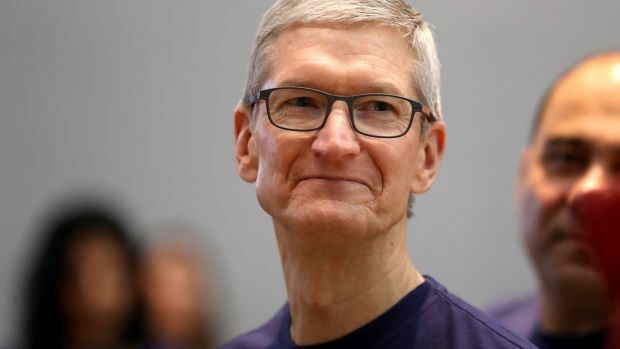 For more than two decades the directors of Apple’s three Irish companies – including, for many years, Tim Cook – did just that. By running these Irish subsidiaries from group headquarters in California they avoided Irish tax residency. At the same time, the directors knew that their Irish companies would not qualify for tax residency in the United States because American tax law worked differently. Under US rules a company has American tax residency only if it is incorporated there. “Apple sought the holy grail of tax avoidance: offshore corporations that it argues are not, for tax purposes, resident anywhere in any nation,” Carl Levin, then a Democratic senator for Michigan, and chairman of the Senate subcommittee, said at the 2013 hearing. Ireland’s minister for finance at the time, Michael Noonan, at first defended his country’s policies, saying, “I do not want to be the whipping boy for some misunderstanding in a hearing in the US Congress.” But by October 2013, in response to growing international pressure, he announced plans to require Irish companies to declare tax residency somewhere in the world. At that time Apple had accumulated $111 billion in cash almost entirely held by its Irish shadow companies, beyond the reach of US tax authorities. Each year the pile grew higher and higher as billions of dollars in profits poured into these low-tax subsidiaries. So Apple sought alternatives to replace the tax-shelter arrangements that Ireland would soon shut down. At the same time, however, the iPhone maker wanted its interest in the offshore world kept quiet. For Appleby, Adderley explained, this was “a tremendous opportunity for us to shine on a global basis with Baker McKenzie”. Behind closed doors, Apple decided that two of its Irish companies should, with the help of Appleby, claim tax residency in Jersey, one of the largest island shelters with strong links to the UK banking system, where Apple’s Irish subsidiaries already held accounts. Jersey is a crown dependency of the United Kingdom, but it makes its own laws, sets its own tax rates and is not subject to most European Union legislation, making it a popular tax haven. As Apple’s plans to use an offshore tax haven progressed another potential problem emerged. In mid-2014, again under pressure from other governments, Ireland had begun exploring a ban on the tax shelter known as the double Irish, an avoidance strategy used by scores of companies, including Google, Facebook, LinkedIn, other tech companies and drugmakers such as Abbott Laboratories. The double Irish allows companies to collect profits through one Irish unit that actually employs people in Ireland and is tax resident there, then route those profits to a second Irish subsidiary that claims tax residency in a low-tax island such as Bermuda, Grand Cayman or the Isle of Man. A crackdown on such arrangements could have interfered with Apple’s plans in Jersey before they had got off the ground. Although it was aimed at double-Irish structures the potential rule change would ban all Irish companies from claiming tax residency in a tax haven. Although the iPhone maker was not in a position to protest loudly, others spoke up. California-based Terilea Wielenga, who was the international president of the Tax Executives Institute, wrote to Noonan in July 2014, warning that moves that would effectively ban double-Irish structures “may not be prudent”. And if Irish ministers did press ahead, she added, they would be well advised to incorporate “a substantial transition period”. What her letter did not tell, but leaked Appleby papers now show, was that Wielenga was quietly orchestrating a long-standing double-Irish structure at Allergan, the maker of Botox, where at the time she worked as head of tax. For more than a decade the structure has shifted profits away from Ireland, where Allergan has a Botox factory, to Bermuda. Ireland included a generous grandfathering clause for Allergan and other multinationals using Irish tax structures. 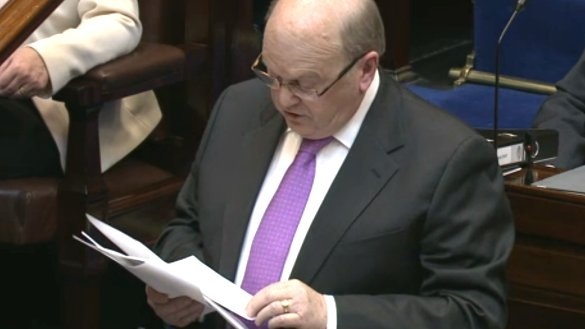 “For existing companies, there will be provision for a transition period until the end of 2020,” Noonan declared on October 14th, 2014. That gave Apple just enough time. By the start of 2015, it had restructured its affairs in Ireland, including securing tax residency in Jersey for Apple Sales International and Apple Operations International, two of the three Irish shadow companies highlighted in the US Senate investigation a year earlier. Meanwhile, much of that profit was transferred as dividends to Apple Operations International, described by Cook as “a company set up to provide an efficient way to manage Apple’s cash”. Before their move to Jersey, these two subsidiaries had played a leading role in helping Apple accumulate and hold $137 billion in cash – most of which came from non-US profits barely taxed by any government in the world. The latest figures indicate that since Apple’s reorganization of its Irish companies this sum has increased 84 percent, although Apple won’t confirm which of its foreign subsidiaries own this cash. This pile of money has inadvertently made Apple one of the biggest investment funds in the world, and its offshore cash reserves have been put to work in a portfolio that includes corporate bonds, government debt, and mortgage-backed securities. “At the end of 2014 a window of opportunity closes,” advisers from the big US law firm DLA Piper explained to CitiXsys, a retail software supplier based in New York. DLA Piper set out a frenetic schedule of incorporations and intellectual-property transfers to be rushed through before the new year to set up a double Irish. As DLA Piper explained, this arrangement “must be managed and controlled in [a] 0% or low tax jurisdiction, such as the Isle of Man, where the bulk of profits are recognized”. That way the entire structure “produces a very low effective tax rate, approximately 5% to 7%”. ICIJ contacted CitiXsys and other multinationals featured in this story. CitiXsys did not respond, and Uber declined to comment. Nike, Facebook, and Allergan declined to answer questions but provided general statements saying they fully complied with tax regulations in countries where they operate. DLA Piper declined to comment, and Baker McKenzie said it does not discuss client matters. Appleby declined to answer questions but said on its website: “We are an offshore law firm who advises clients on legitimate and lawful ways to conduct their business.” Estera, the corporate-services company that split away from Appleby at the beginning of 2016 and continues to administer many offshore companies on behalf of clients, declined to comment. While CitiXsys’s rapidly assembled structure mirrored the structures embraced by Facebook, Google and others using the double Irish, Apple’s reorganized Irish companies appear to function very differently. The iPhone maker has declined to answer ICIJ’s questions about its new setup, but it appears to give a key role to another of Apple’s Irish subsidiaries, a company called Apple Operations Europe. Together with Apple Operations International and Apple Sales International, the company made up the three Irish firms criticised by US senators in 2013 for being “ghost companies”, tax resident nowhere in the world. By 2015 tighter Irish laws had caused all three to find a new tax home. But while the other two Irish companies took up residence in Jersey, Apple Operations Europe became tax resident in Ireland, the country of its incorporation. A clue to why a multinational might want a subsidiary that was liable for taxes in Ireland can be found, once again, in Michael Noonan’s budget announcement in 2014. While media headlines focused on his decision to crack down on double-Irish arrangements, less attention was paid to measures not mentioned in his budget speech but contained in accompanying policy documents. In particular, the paperwork revealed plans to expand an already generous tax regime for companies that bring the intangible property into Ireland. Importantly for multinationals, however, it was also available to an Irish company that bought the intangible property from another company within the same group. It’s clear, though, that a large amount of intangible property landed abruptly in Ireland around the period when Apple reorganized its three Irish subsidiaries. In fact, the country’s gross domestic product for 2015 leaped by an incredible 26 per cent, boosted by close to $270 billion of intangible assets suddenly appearing in Ireland’s national accounts at the start of the year – more than the entire value of residential property in Ireland. The Nobel Prize-winning economist Paul Krugman called the development “Leprechaun economics”. The ICIJ showed the findings from its investigation to J Richard Harvey, a Villanova University law professor, and Stephen Shay, senior lecturer at Harvard Law School. In 2013 both of them gave detailed testimony on Apple’s previous Irish structure to the US Senate committee’s investigation. They both told the ICIJ it appeared likely the iPhone maker had transferred intangible assets to Ireland. “While it is not 100 percent clear how Apple has restructured its Irish operations, one strong possibility is that they have transferred more than $200 billion of valuable intangible assets . . . to an Irish resident company, for example, Apple Operations Europe,” Harvey said. 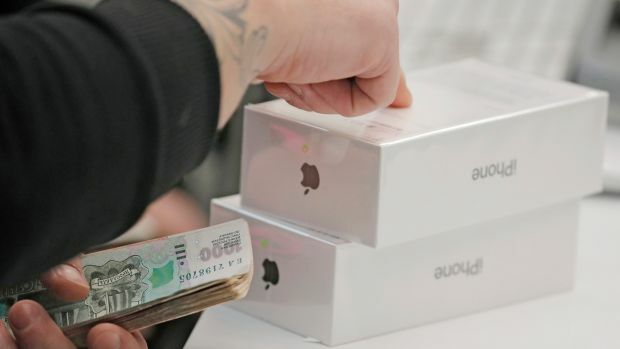 An Apple staff member counts a customer’s money as they pay for a new iPhone X at an Apple shop during its launch in Moscow, Russia, on November 3rd, 2017. Photograph: Sergei Ilnitsky. Shay added: “By using Irish intangible property tax reliefs, Apple likely will pay little or no additional Irish tax for years to come on income at Apple Operations Europe. However, in October 2017, Ireland reversed the sweetened terms Noonan had added to the tax break three years earlier. But the iPhone maker still won’t say how much profit it makes through its Irish companies – making it impossible to gauge whether $1.5 billion is a lot of tax to pay in three years or not. 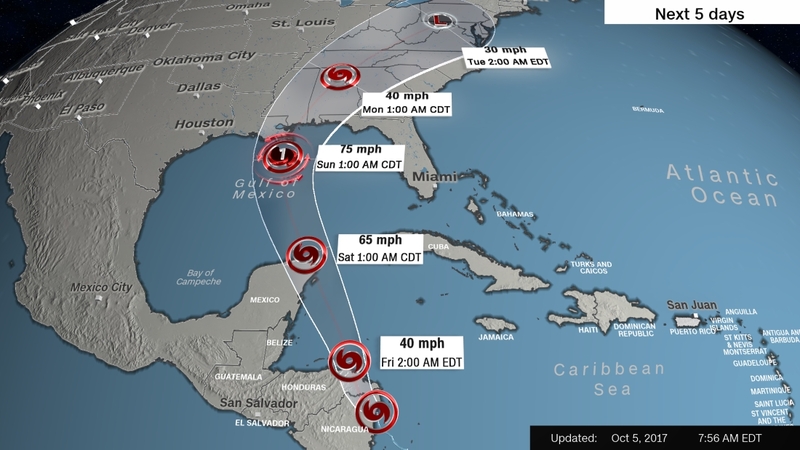 Hurricane Maria’s destructive tear across the Caribbean is well underway, with the storm obliterating parts of Dominica and threatening “catastrophic” damage to Puerto Rico. Maria has already has pounded Dominica with 160 mph (257 kph) winds and caused “widespread devastation,” Prime Minister Roosevelt Skerrit said Tuesday. 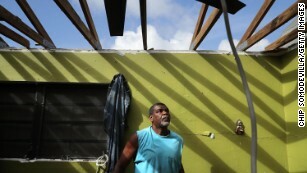 The Category 5 hurricane shredded the prime minister’s house overnight and left much of the island — population 73,000 — in ruins. 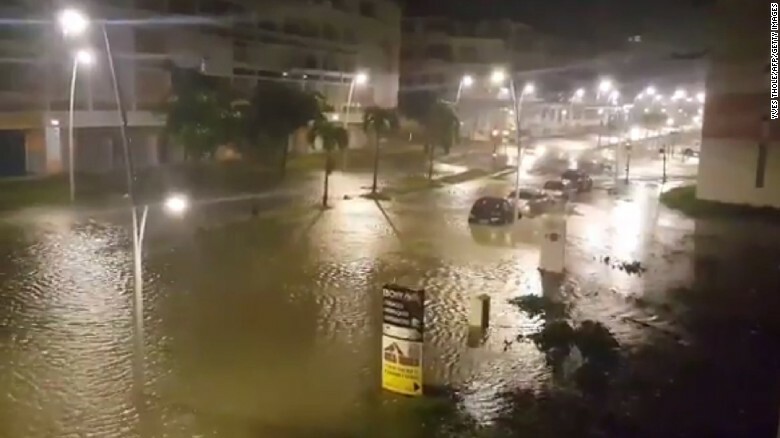 Hurricane Maria battered Guadeloupe and flooded a street in Pointe-a-Pitre. “A dangerous storm surge accompanied by large and destructive waves will raise water levels by as much as 7 to 11 feet above normal tide levels in the hurricane warning area near where the center of Maria moves across the Leeward Islands and the British Virgin Islands,” the hurricane center said. Maria will pummel the Virgin Islands and Puerto Rico on Tuesday night and Wednesday as “an extremely dangerous Category 4 or 5 hurricane,” the National Hurricane Center said. 1 San Juan store asking customers to limit to 2 cases of water per person – but shelves empty. Water easy to find in pharmacies last night. CNN’s Joe Sterling, Monte Plott, Sarah Faidell, Brandon Miller, Taylor Ward, Leyla Santiago and Karen Smith contributed to this report.